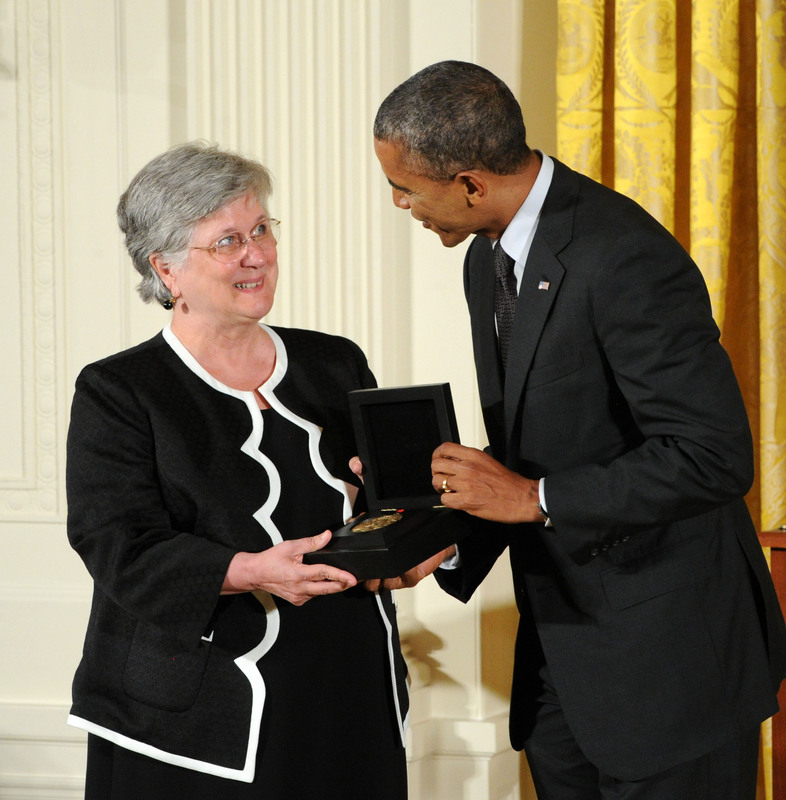 AAS was presented with the National Humanities Medal by President Obama in a ceremony at the White House in 2014. 1. Marcus Tullius Cicero. 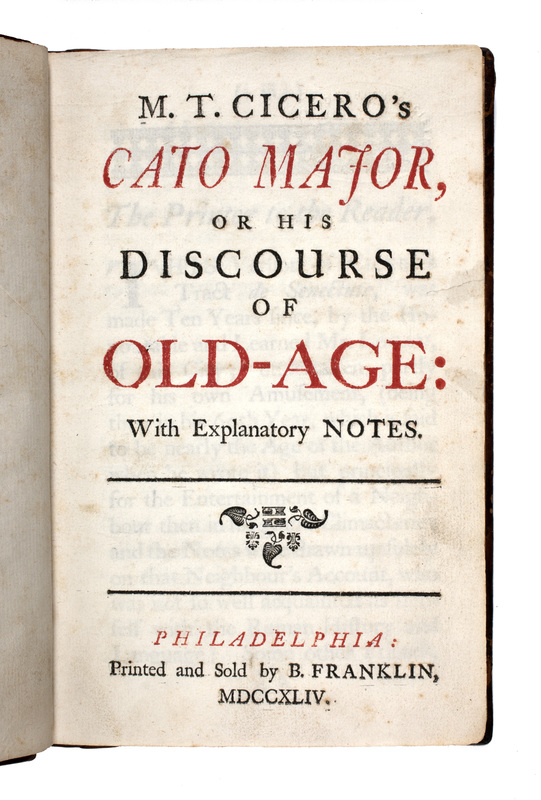 M. T. Cicero's Cato Major, or his Discourse of Old-age: with Explanatory Notes. Philadelphia: Benjamin Franklin, 1744. 2. Charleston Mercury Extra ... The Union is Dissolved! December 20, 1860. 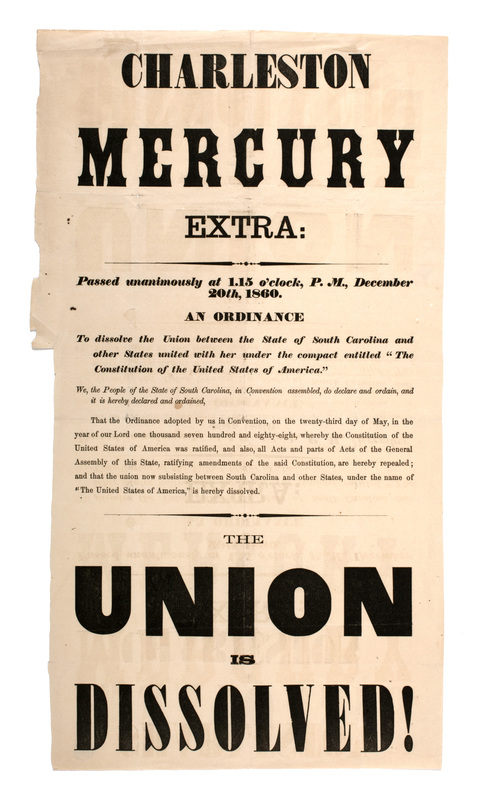 Charleston, South Carolina: Mercury Office, 1860. 3. Frances Sargent Locke Osgood. The Cries of New-York. New York: John Doggett, Jr., 1846. 4. Edmond Halley. 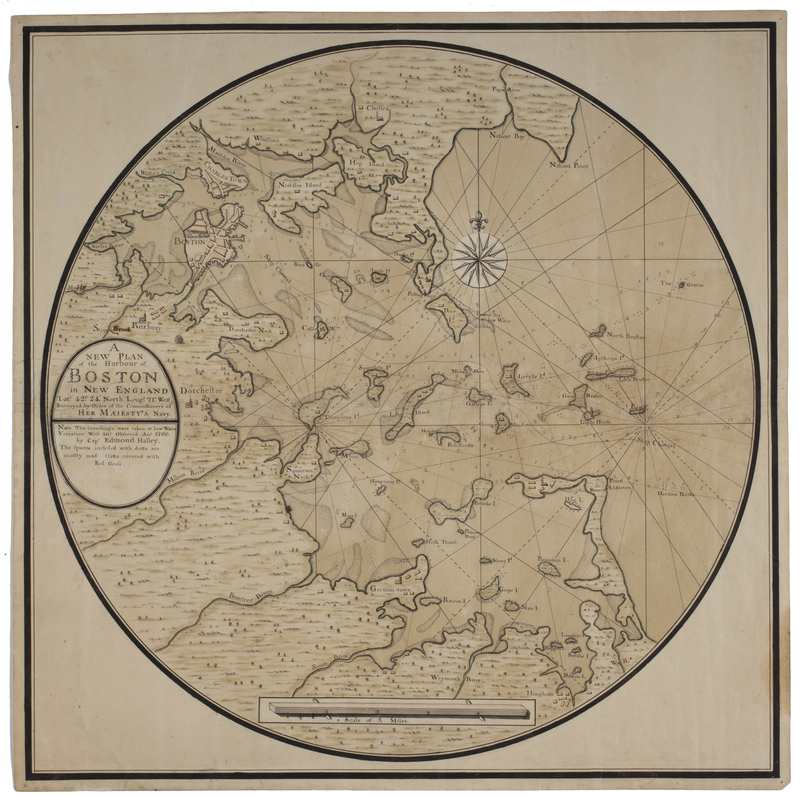 A New Plan of the Harbour of Boston in New England ... Watercolor and ink on paper, 1702. 5. Samuel Richardson. 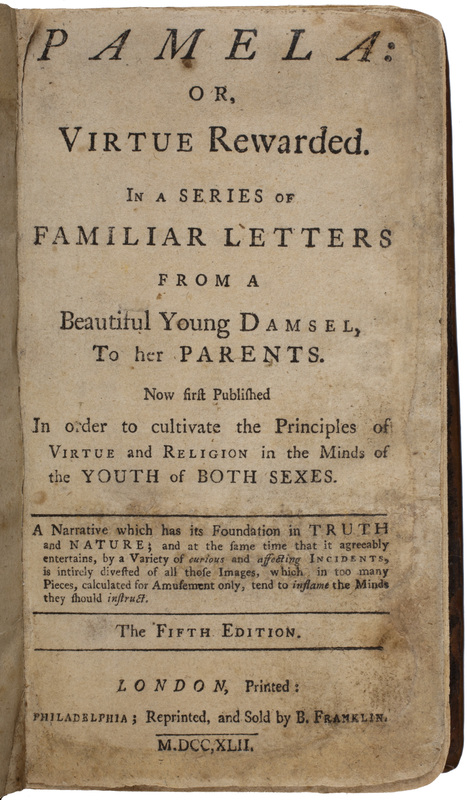 Pamela : or, Virtue Rewarded ... Fifth edition. Philadelphia: B. Franklin, 1742-1743. 6. Phillis Wheatley. Phillis's Poem on the Death of Mr. Whitefield. 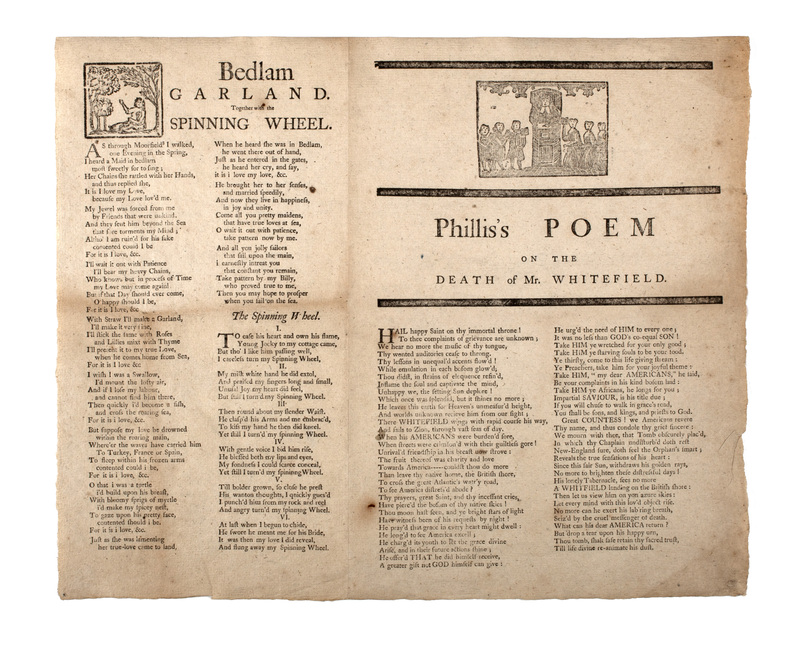 On a sheet with: Bedlam Garland. Together with the Spinning Wheel. Fifth edition. Philadelphia: B. Franklin, 1742-1743. 7. Michele Fanoli, after Richard Canton Woodville. Politics in an Oyster House. Paris and New York: Lemercier for Goupil & Co., 1851. 8. David Claypoole Johnston. Taproom. Watercolor on paper, ca. 1858. 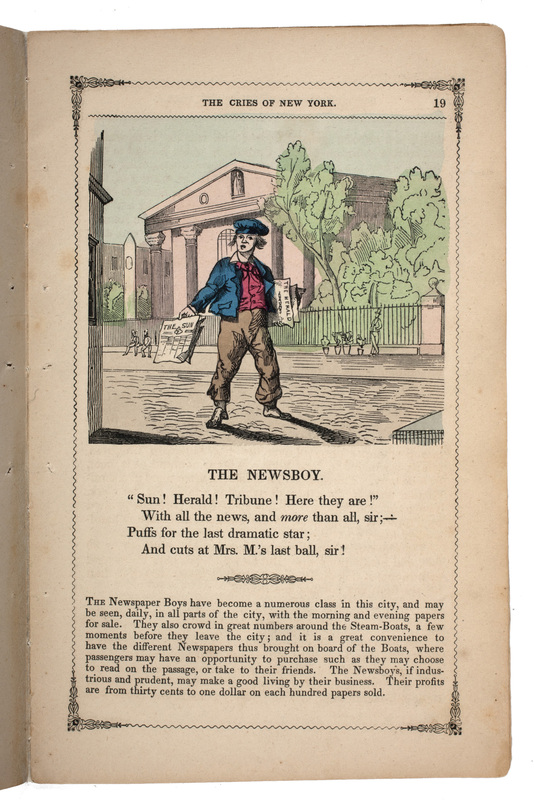 Virginia City, Montana Territory: Montana Post Press, D.W. Tilton & Co., 1866, with advertising broadside: Now Completed and for Sale! 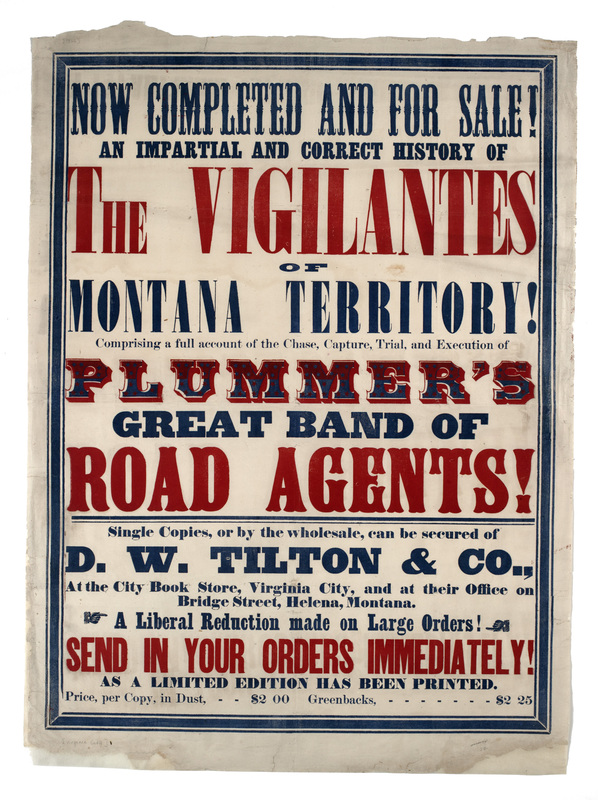 An Impartial and Correct History of the Vigilantes of Montana Territory! ... D.W. Tilton & Co., 1866. 10. The Weekly Rake. New York, Saturday, July 9, 1842. 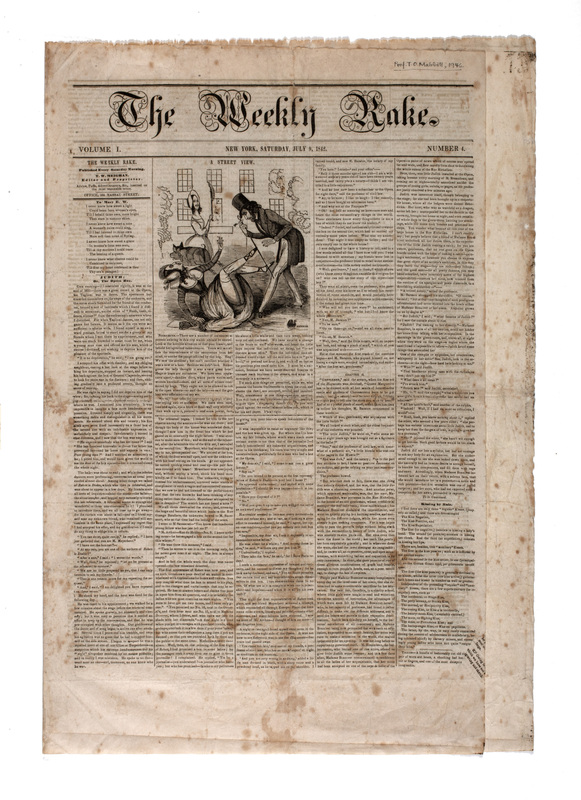 The American Antiquarian Society, located in Worcester, Massachusetts, is both a library and a learned society whose mission is to collect, preserve, and make available the printed record of what is now the United States from 1640 through 1876. 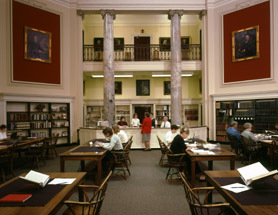 Founded in 1812 by Revolutionary War patriot and printer Isaiah Thomas, the American Antiquarian Society is the third oldest historical society in the United States and the first to be national in the scope of its collections. 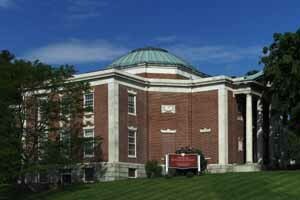 The American Antiquarian Society conducts an extensive fellowship program for scholars, artists, and writers studying pre-twentieth century America. Readers come from all over the world to study these materials housed at the Society in Worcester, Massachusetts. 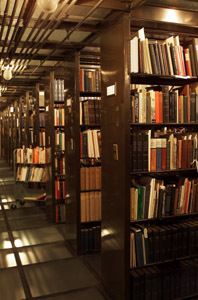 The American Antiquarian Society's library contains 20 miles of shelves that hold over three million items including: books, pamphlets, broadsides, newspapers, periodicals, sheet music, and graphic materials. 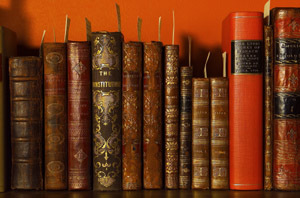 The collection contains two out of three of the total books known to have been printed in what is now the United States from the establishment of the first press in 1640 to 1820. 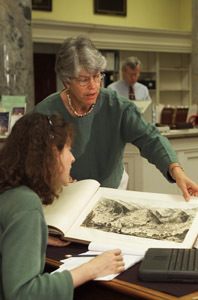 Georgia Barnhill, the Andrew W. Mellon Curator of Graphic Arts Emerita at the American Antiquarian Society, assists a reader in the main reading room of Antiquarian Hall. 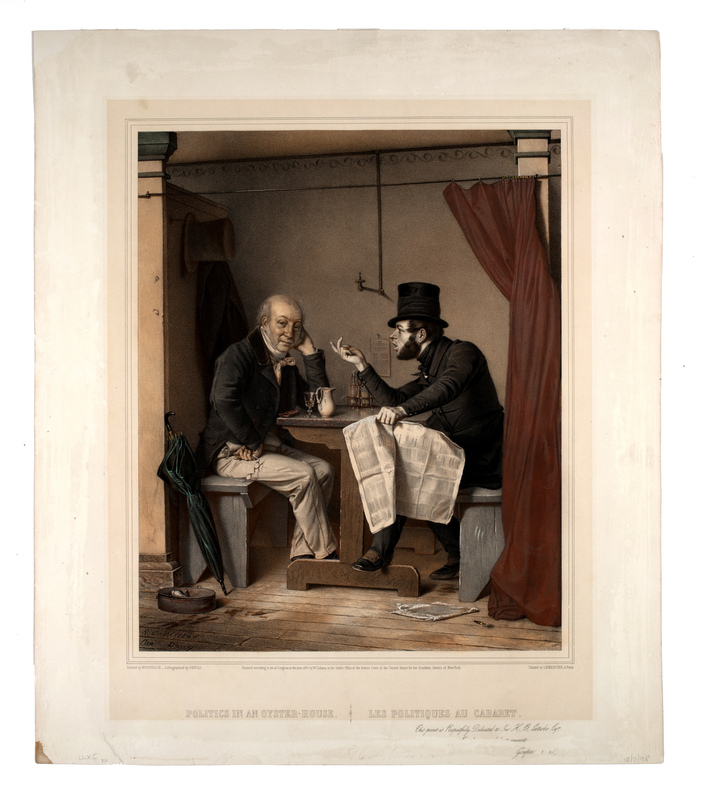 The graphic arts collection of the Society includes political cartoons, maps, lithographs, portraits, photographs, and paintings. In addition, the department contains a strong collection of ephemera including such diverse items as menus, currency, valentines, and games. The American Antiquarian Society contains all but two of the engravings of Paul Revere. In addition to printed materials, the American Antiquarian Society's holdings also contain a substantial and diverse manuscript collection. The AAS manuscript collections. 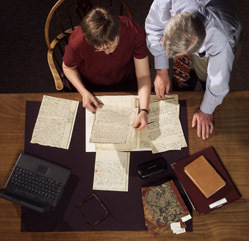 principal strengths are in four areas: American book publishing and collecting; New England diaries; papers of prominent early New Englanders; and papers and records of eighteenth- and nineteenth-century central Massachusetts families, voluntary associations, and businesses. 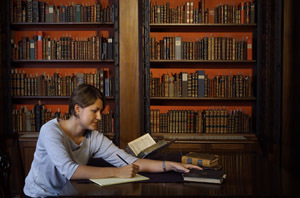 The American Antiquarian Society is both a learned society and a major independent research library. The Library houses the largest and most accessible collection of books, pamphlets, broadsides, newspapers, periodicals, sheet music and graphic arts materials printed through 1876 in what is now the United States, as well as manuscripts and a substantial collection of secondary works, bibliographies, and other reference works related to all aspects of American history and culture before the twentieth century. 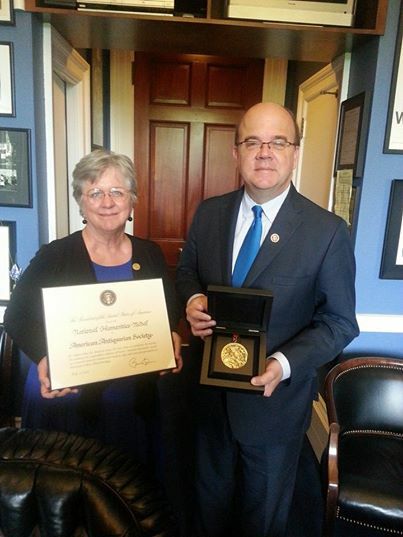 The Society sponsors a broad range of programs -- visiting research fellowships, research, education, publications, lectures, and concerts -- for constituencies ranging from school children and their teachers, through undergraduate and graduate students, postdoctoral scholars, creative and performing artists and writers, and the general public. The Society is committed to enhancing the quality of education in grades K-12 by sponsoring teacher training workshops and seminars, and creating educational programs that make available for classroom use facsimiles of historic materials from the AAS collections. 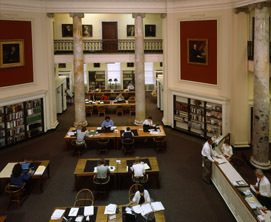 The American Antiquarian Society library contains approximately 60,000 books and pamphlets printed before 1821. Scholars and other interested persons come from all over the world to study these materials. 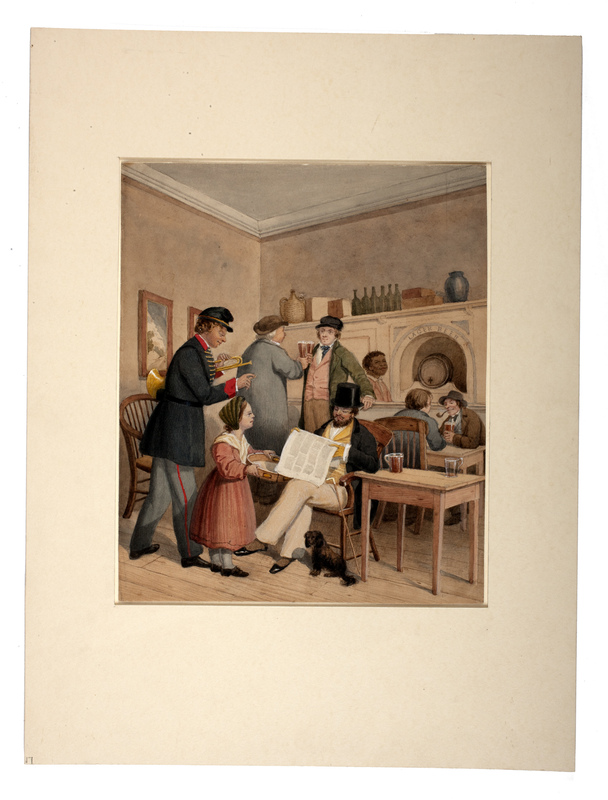 Their interests range from American history, art, and literature to the processes by which books were created and distributed in pre-twentieth century America.